As an employer, you have an obligation to create and maintain a safe workplace for your employees. Fires are once again blazing in California, forcing thousands to evacuate, destroying buildings and bringing tragedy and loss. At this trying time, employers should remember some key obligations. Here are a few things you should know about paying employees, leaves of absences and planning ahead in emergencies. As with the fires earlier this year, federal Disaster Unemployment Assistance (DUA) benefits will likely be available shortly. DUA provides temporary unemployment benefits to people whose jobs or work hours are directly impacted by emergencies. The fires raging in Southern California have been declared a state of emergency and the White House has approved California’s request for direct federal assistance; unemployment assistance will likely follow. Employers and affected workers should stay abreast of recent developments by visiting www.edd.ca.gov. 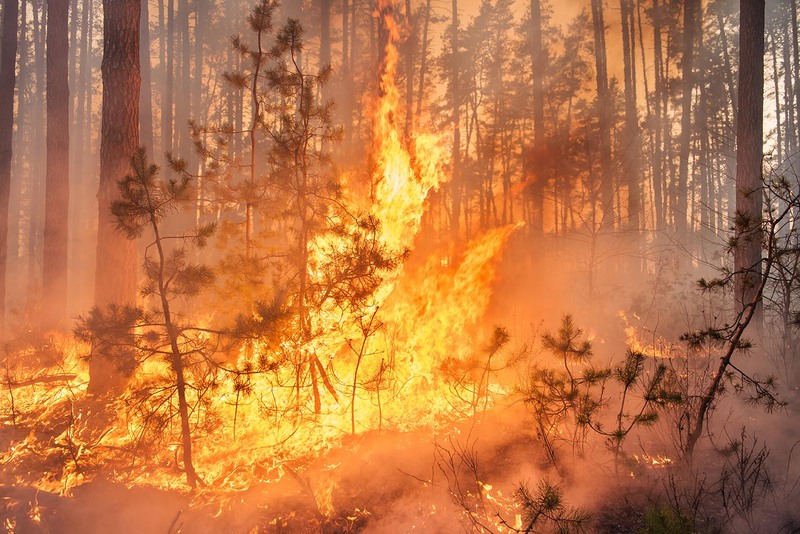 Wildfires pose health hazards, Smoke can contain chemicals and fine particles that harm health. And other hazards are rampant, such as electrical hazards, unstable structures, flammable gasses, and ash, soot and dust. As an employer, you have an obligation to create and maintain a safe workplace for your employees. Cal/OSHA has provided guidance on how to keep workers safe in heavy smoke conditions and during fire cleanup. The single, most important thing employers can do is create an Emergency Action Plan (EAP) and communicate that plan to employees. Employers should inform employees that the plan exists and what steps the plan outlines. All California employers are required to have an EAP designating the actions that must be taken to protect employees from fire and other emergencies. California employers must also have a Fire Prevention Plan (FPP) that details the fire hazards your employees may face and how to handle a fire should the situation arise.